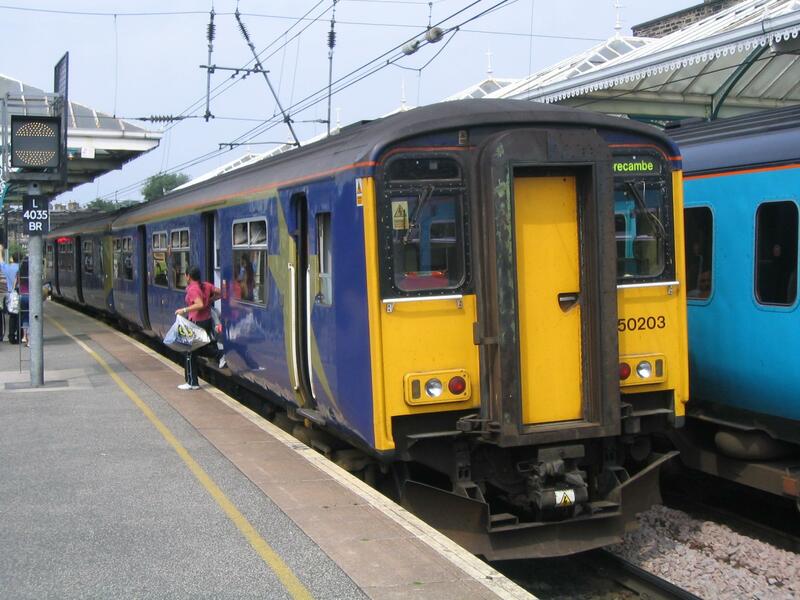 The Skipton and East Lancashire Rail Partnership (SELRAP) has appealed for donations to fund the next stage of the GRIP process. They are continuing through the third stage of the progress where substantial input will be required from consultants and specialists. Skipton sits at the eastern end of the proposed route. 150203 waits in platform 3 on 19th June 2005 with a service to Morecambe.